Ho Chi Minh City made socio-economic development improvements while still dealing with problems inherited from previous years after one year implementing the Politburo’s Conclusion 21-KL/TW and the National Assembly’s Resolution 54/2017/QH14 on piloting special mechanisms and policies for the city. 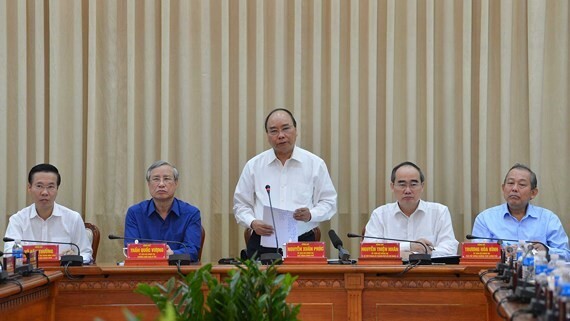 Prime Minister Nguyen Xuan Phuc made the remarks while chairing a conference reviewing the one-year implementation of these important documents in Ho Chi Minh City on January 12. In 2018, Ho Chi Minh City posted a GRDP growth of 8.3 percent. It welcomed 7.5 million foreign visitors, who accounted for 50 percent of total foreign visitors to Vietnam. The city licensed the establishment of 44,000 new enterprises, or 33 percent of the total. Labour productivity hit VND293 million per worker, 2.92 times higher than the national average. Budget collection hit VND378.5 trillion, rising by 8.65 percent from 2017. Attracted foreign investment capital was US$7.394 billion. As the most densely locality, the city managed to maintain social security and order and carry out some special solutions for socio-economic development, he said. HCMC still retains its leading economic locomotive of the country, he remarked, citing its budget contribution of over 27 percent of the national budget income. “The city needs to double efforts so it can be compared with Hong Kong, Singapore and Kuala Lumpur,” he said. The PM commended the city on its high and quality economic growth, foreign investment capital attraction, investment in science and technology, smart city building, startup development, and assistance to small- and medium-sized enterprises. He, however, warned that the city is lagging behind other big cities in the region in terms of living quality, competitive capacity, and urban planning. The city is dealing with aging infrastructure while its human resources fail to meet development requirements, and many of its major infrastructure projects are facing slow tempo, he added. The equitization of State-owned enterprises has yet to fulfill the set goal and crimes are happening in a complicated manner, especially stealing and foreigner-involved crimes, he said. To tackle these problems, the leader suggested the municipal authority adopt a specific plan to implement the Government’s Resolution 01 and the National Assembly’s Resolution 54. The city needs to be in the vanguard of many fields and especially continues to see science, technology, renovation, and creation as its ways to the future, he noted. He suggested central sectors and branches continue giving the city more power to enable it to be proactive in implementing socio-economic development tasks in a “more drastic manner”. He stressed the need for the city to make better planning for urban and transport infrastructure development and better inter-regional linkages, along with addressing traffic issues and fighting crimes. 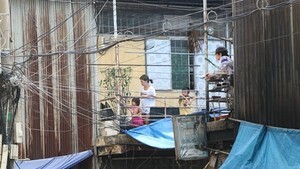 The city should focus on dealing with prolonged pressing problems, especially the resettlement relating to Thu Thiem area, to strengthen trust and create consensus among people. Flooding, and road and environment planning in new urban areas need to be solved, he said.